I had the pleasure yesterday of hearing Fashion Historian Ivan Sayers lecture on the history of fur, feathers and animal parts while models showcased vintage garments and accessories from the early 1900's through the 1980's. SMOC - Society for the Museum of Original Costume - who sponsored this event wisely put out a disclaimer to make sure people knew the lecture was not in support of the fur trade, but covering its history. Sayers commented right at the start, "Fur looks best where it was originally, on the animal." He went on to note that with the current high quality of moden synthetic substitutes, we no longer need to slaughter animals for their skins. I agree, but bet it will be a hard sell with many. Be warned, there are a few gruesome details in this article. 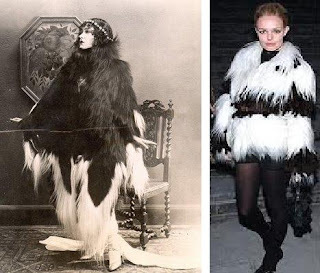 Up until the animal rights movement began to have an effect, fur, feather and animal parts were strongly associated with luxury and status. The more rare the item, the more fragile the garment, the more desirable it was to society's elite. No one really believed a species would be wiped out - despite evidence to the contrary - or gave any thought to the suffering of the animals involved. It was all about decorating the body and the more exotic the better. Canada was first exploited for it's fur - in fact it was considered by many to be it's only asset. 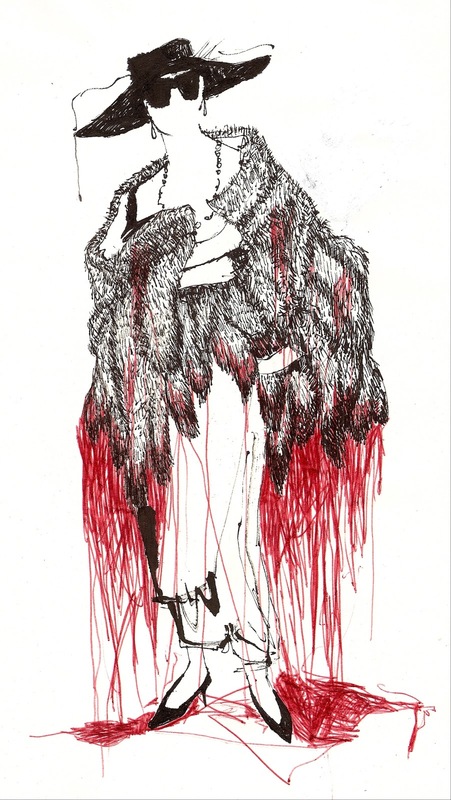 The anti-fur campaign which peaked in the 1980's and 1990's, as well as several high-profile stars such as designer Stella McCartney, have forced the industry to look at alternatives. The market now is full of high-quality faux fur for those who want luxury without the cost of animal suffering. The lecture began with a discussion of an animal product - Baleen. Often referred to as whalebone, it is a structure in the whale's mouth used to sieve small animals from mouthfuls of sea water and was most commonly used as corset stays. Although referred to as bone, it is actually protein Keratin - the same as hair, nails, claws, scales and horns. Because it is both strong and flexible, it was used to make collar stiffeners, buggy whips, parasol ribs and occasionally cable-backed bows. Synthetics materials are now used in most instances, although steel stays are one replacement for whalebone in corsetry. Other related items include exotic cat's claws (used to create jewellery and watch fobs), ivory (used in hair combs, fans, buttons and jewelery), bird quills (banded together to make stays), armadillo shells (whole shell used to create a purse with head intact) and horse hair (woven into fabric and used to make early crinolines). 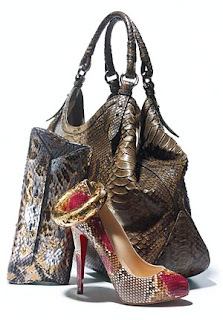 Reptile skins - snake, lizard, crocodile, alligator and more - entered the fashion world as early as 1892 and are still popular today. It is an interesting trend in that a large percentage of the population is fearful of reptiles - snakes in particular. Generally we see these skins used to make acessories such as purses, belts, boots and shoes, but Sayers even had an example of hat. An internet search provided some interesting results. There was one site that had instructions on how to make your own real snakeskin accessory. Mensitaly.com has shoes available in lizard or crocodile (with ostrich trim). Another sold three piece synthetic snakeskin suits in black, brown, purple and wine. ﻿﻿Whether real or synthetic, reptile patterned accessories are still a strong seller in the fashion world. Feathers are the most exotic to me - just pure fantasy. They bring to mind glamorous old Hollywood events, Las Vegas stage extravaganzas and the Ziegfeld Follies. Between 1880 and 1920, 50 million pounds of feathers (excluding ostrich) were traded on the London Feather Market. How many feathers would you have to put on a scale to equal that enormous number? Feathers from many species such as marabou, peacock, bird of paradise, ostrich and egret were widely popular as accents on hats in particular, but could also be found decorating garments and other accessories (handbags, fans, etc.). 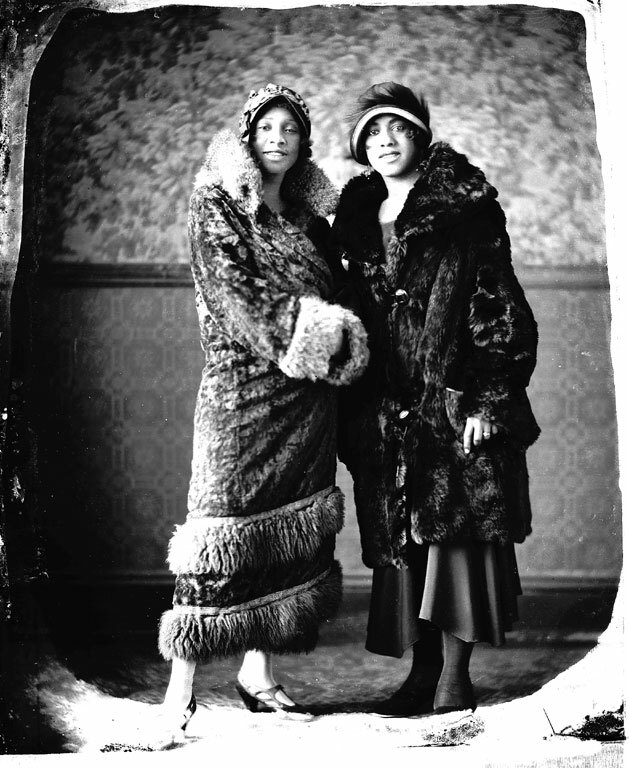 They were even used to create coats and stoles that resembled fox fur. Some species, such as the egrets, were hunted almost to extinction. Fur was definitely the largest focus of this lecture/fashion show. I think most of us have been made aware of the practises involved in the collection of furs - both free range and in fur farms - so I am not going to cover it here. A web search will easily come up with many articles if you need more information. Again, for many of the elite, this was a must-have sign of wealth. The rarer the fur, the more fragile and likely to fall apart, the more expensive and desirable. Fox, mink, muskrat, ermine, camel, seal, Persian lamb, beaver, cow/calf and exotic cat skins (just to name a few) were used to create coats, jackets, hats and muffs. Some sold for the same price as a house. For those of more common means, the fashion industry offered fabric garments with just a bit of fur trim. I also saw two examples of monkey fur. It's close resemblance to human hair gives it an edgier, more exotic look (think Morticia). There was also an example of a very rare spotted panther fur coat. Then there were two I found totally disgusting. First was a garment from the late 1920's made from the skin of nestling Auks - that's right, baby birds. The second was a coat made from Broadtail. This is the most fragile of the lamb pelts, created from unborn or stillborn lamb fetuses. With the resurgence of interest in fur and reptile, I thinks it's a good time to take a look at the history of the industry and ask ourselves, "With all the great synthetic choices we have available today, why do we need to continue to harvest these skins, putting many species at risk of extinction and causing untold suffering?" For those who just have to own the real thing, a great choice would be to buy vintage. You can wear it as is or have it re-worked into an updated style of your choice. In the end, however, it needs to be a personal choice. 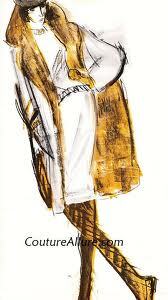 For more information on upcoming fashion history lectures produced by SMOC click HERE!